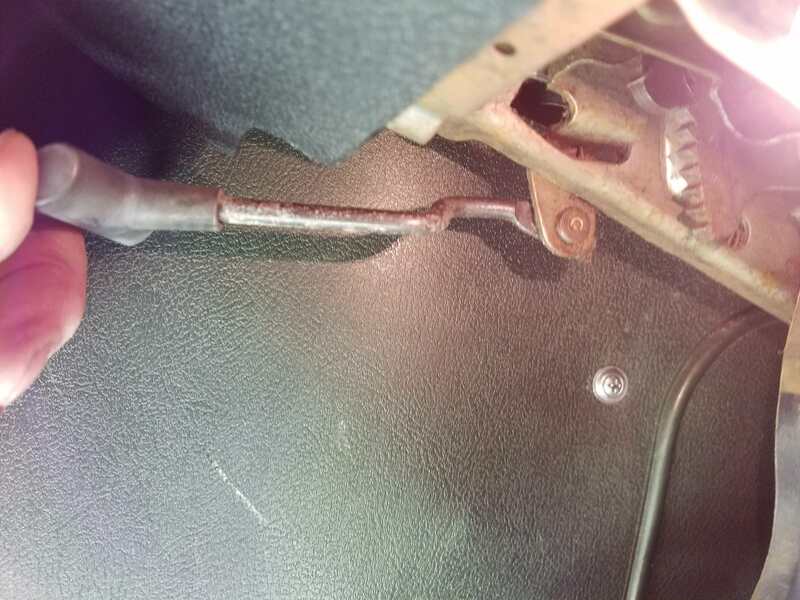 Is the brake holding? your cable maybe loss or broken. My 79 had this setup. I modded it to pull from underneath and not use the cable. I suspect somebody did the same with yours.. 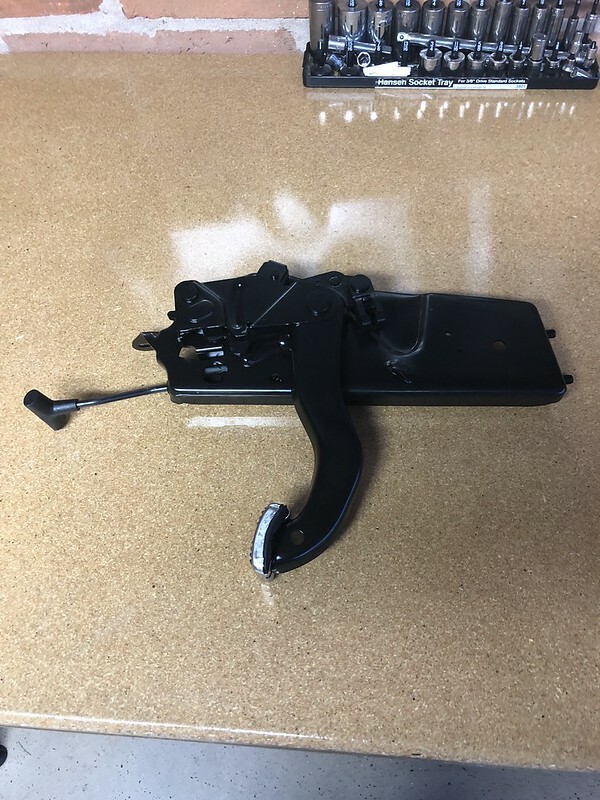 The release lever should be supported by the parking brake assembly. Looks like something broke or has been modified. 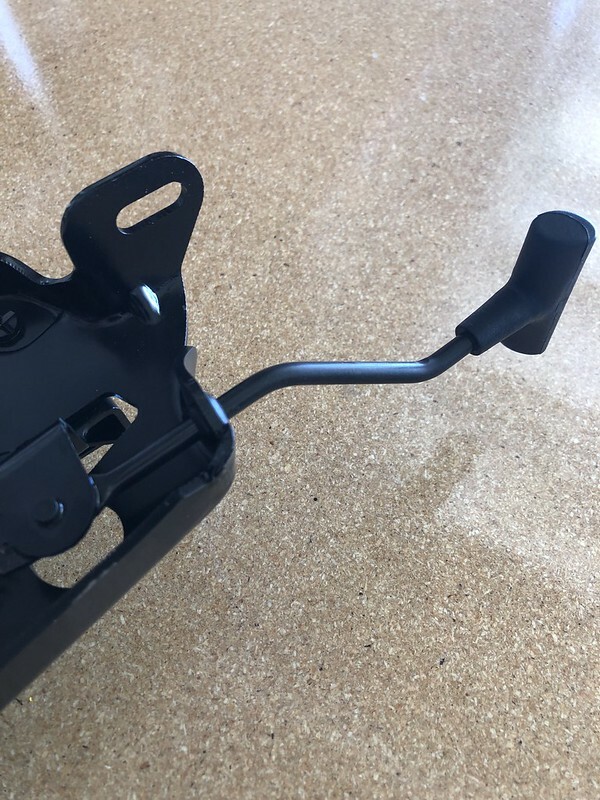 My lever is missing completely and I'm about to order a whole new assembly from Firebird Central, they're $70. Thanks. Let me know if you don't mind how it's held up when you get it. I sure don't see anything broken off. Probably missing something really obvious as I am kind upside down looking at it. I finally got my parking brake assembly. It's a little different than the original but close enough. It's very similar to the one that scarebird posted. The lever goes through the frame and that's how it's held in place. There's something weird about yours since the tab that the lever is attached to is behind the frame on my new one and exposed on yours. Thanks for the repsonse and pictures. I hate to get a new backet just to hold the lever up but let me know how it goes in if you don't mind. 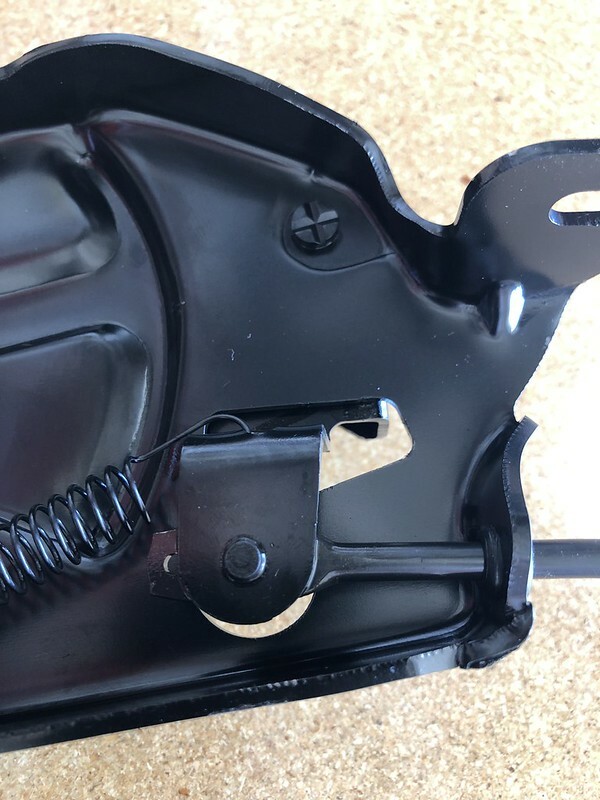 You could just make a zip tie bracket if all you want to do is hold it up... It would probably even function.